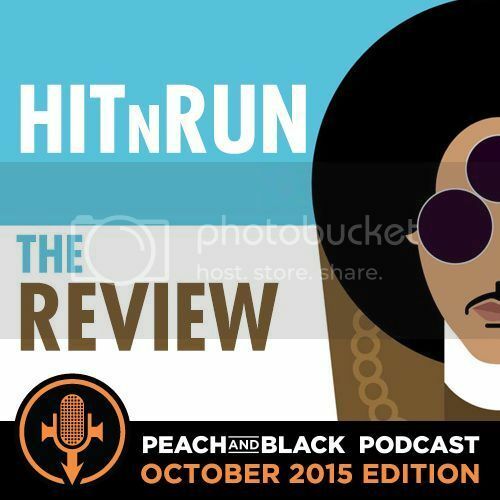 We review #HitNRun track by track, like a mack, including the listener survey results as voted by you! We ain't about 2 stop....we came 2 shut this down! This entry was posted on Monday, October 5th, 2015 at 5:50 pm	and is filed under Music, prince, podcast, NPG, New power generation, prince and the npg, 3rd eye girl, prince rogers nelson, peach and black podcast, prince podcast, album review, revolution, peach and black, 3rd eye girl, new power generation, music, npg, Prince. You can follow any responses to this entry through the RSS 2.0 feed. Both comments and pings are currently closed.